Week of the Young Child kicks off today! 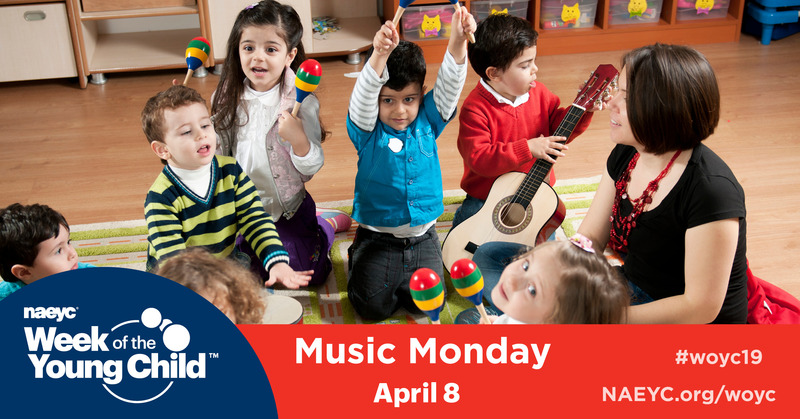 The National Association for the Education of Young Children (NAEYC) has fun daily activities — starting with Music Monday! When children sing, dance and listen to music, they develop their language skills. Make up and record your own unique version of a song or write your own, and share it on NAEYC’s Facebook WOYC event page or post to Twitter and Instagram using the hashtag #woyc19. Visit NAEYC’s resources page for more Music Monday inspiration!